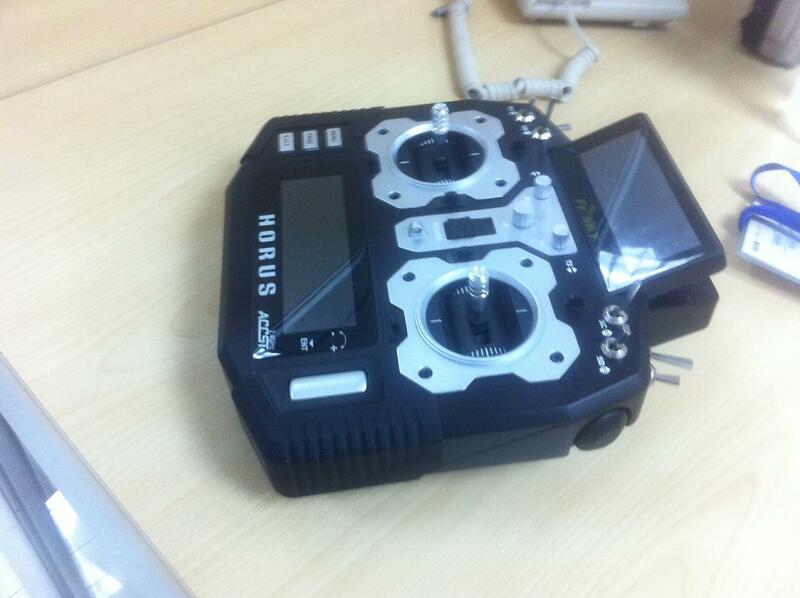 1) Is there a new version of the FrSky Taranis X9D on the way? 2) Is it called the X9D Plus? 3) When will it be generally available? 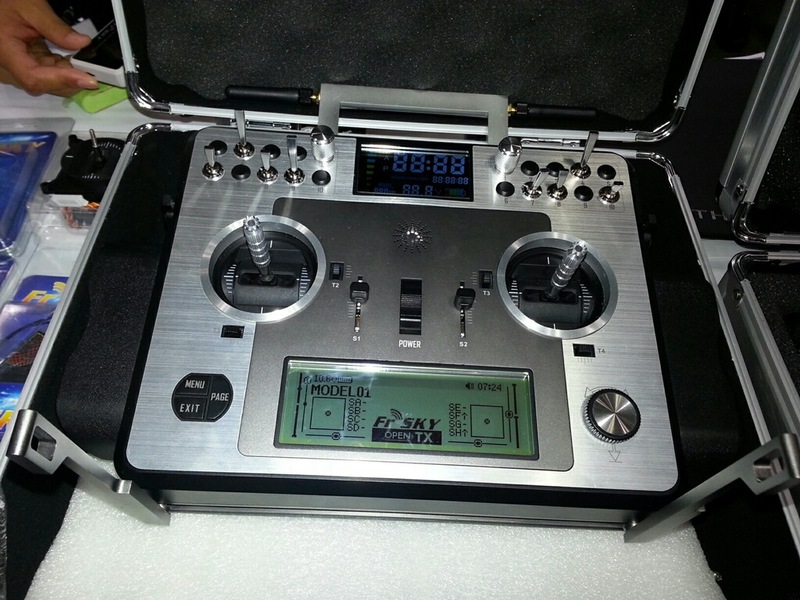 4) Is there a new radio coming soon called either X12D or X16D, like the prototypes shown in the attached picture? 5) What specifications will / may the X12D or X16D have? Radios: Taranis X9D with homebrew haptic and LiPo battery & Horus X12S (Beta Unit 34) now PROD spec. Re: FrSky X12D or X16D...? 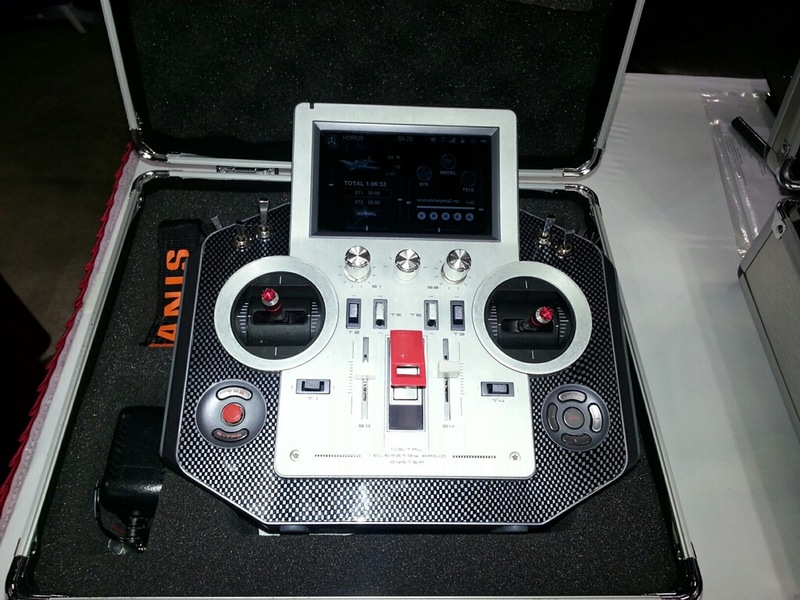 The Taranis Plus is already available. We know about one other radio, named Horus, but it likely won't be available before next year and specs are unknown. 1) Price of Taranis X9D Plus? 3) Is it an RGB LED backlit screen or just blue? 4) Any idea of a UK Distributor that has them yet? PS: Do you also post on the MultiWii forum a lot, I'm sure I've seen your handle before....? I thought I posted an answer, but it isn't here! T9HobbySport had them in stock recently, but they seem to have all gone now (£179.99)! Two backlights, one white and one blue. Do you have idea of the production schedule? The new ones have haptic feedback, correct? Aloft is rarely out of anything FRSky for more than 2 weeks nowadays; I'd guess the Taranis Plus will be back in stock on a similar timetable. The new radio coming soon called X12D, the specific parameters of it has not been determined. We have direct contacts with FrSky and know where it's heading, but nothing firm that can be publicly announced yet. Understood. I'd just never seen these photos before, only the computer generated design studies. Question: Is this a real Horus or just some sort of mock-up? AFAIK it's what it was supposed to be a few months ago, but plans have changed since then. Not for worse I hope.. the intention of not bringing open source firmware from the beginning and the chances of.not even being compatible with the open source is already a BIG MINUS in my opinion. That way I won't buy it, but who am I? One in a few hundred thousand. .
Clearly the radio will support open source. Why else would they guys have had any information about it? We will see. I've been waiting for that tx since the beginning. Until now the comments I have read don't look very good..
- it will support open source. Can anyone confirm rumors that they (FrSky) might be unveiling it at the Chicago Model Fair in October? Yes, an unveiling at the Chicago model fair was indeed announced months ago. But now I have no idea if it's still valid, whether there are delays like often etc. Rob Thomson wrote: Lol. Comments by who? Kilrah wrote: Yes, an unveiling at the Chicago model fair was indeed announced months ago. Aww, dude... yer breaking my heart. *Inbuilt GPS and WiFi might be applied on certain configuration only. All information without guarantee. Until completedversion yet one or the other may change. Last edited by sansha on Sun Oct 05, 2014 9:45 am, edited 1 time in total. Is that a tray radio? It looks like one but I bl***y hope not.. I have been waiting for this radio since the beginning, and if so it was a waste of time..
A European 'taranis' in a tray format. A hand held radio. (assumed by the fact the sliders point down! Not much other info at present. .... the specs mention Bluetooth 4.0 as well as Wifi, how and why would you use both?? I got my doubts about about that! am I being too negative? fburden wrote: .... the specs mention Bluetooth 4.0 as well as Wifi, how and why would you use both?? Why does your phone have both? It is entirely possible that you could use wifi to access the sd-card, or bluetooth. Or either. Who knows! I would guess this is all subject to change, so dont read to much in to anything. I cant see this ever working on a noisy flight line. Let alone the CPU grunt needed! But again.. dont read much in to things that are still a long way off and subject to change. Just hop on the next flight to Chicago, and you can hold one in your hands this weekend. Same goes for the X9E and some other cool new FrSky gear. Strongly suggests that REAL radios X9E and X12D hardware will be shown at the Chicago show! EDIT: So The Horus is what they originally designed as X16D. I remember the X12D prototype picture had 2 screens. a bigger one at the bottom and another smaller one at the top.. I would monitor this RC Groups user, as he is actually with FrSky at the Chicago Model Fair right now! Of running / working radios!